There are no comments for Long-tailed Sylph. Click here to post the first comment. 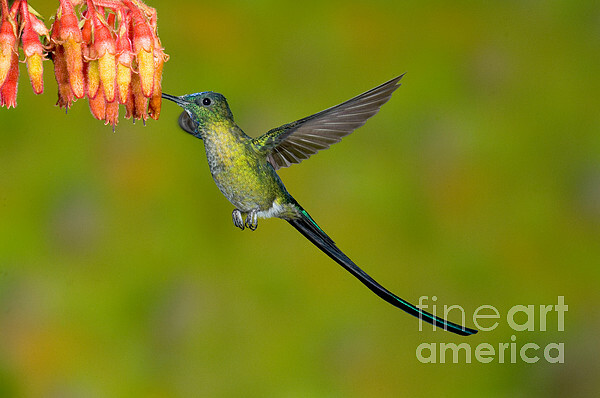 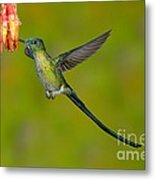 Long-tailed sylph hummingbird (Aglaiocercus kingi) at flower; Ecuador.